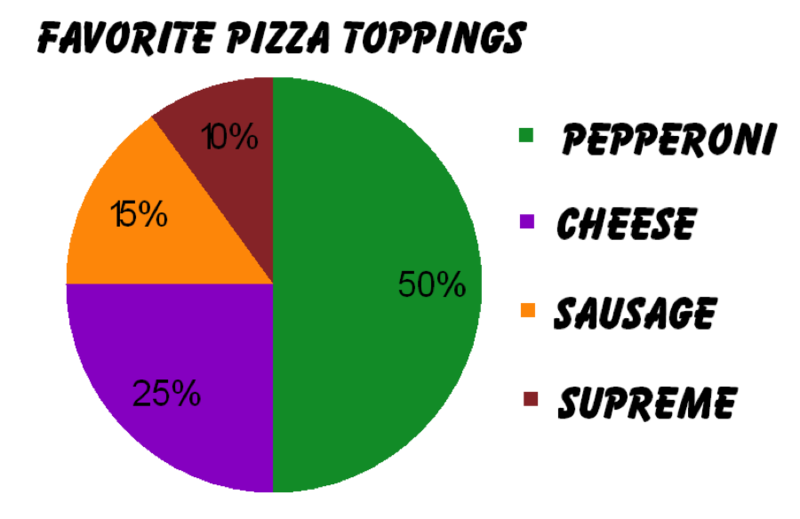 Pictograph: this type of graph uses pictures or small icons to represent quantities. This graph should be used to first introduce graphs to young children. Bar graphs: this graph compares two groups of items with one single value for one category creating an easy way for students to compare. Circle Graphs: these graphs are primarily used in upper level elementary because they are read using percentages. Circle graphs use a divided circle with each section representing parts of the total. The largest difference between a bar graph and histogram is that a bargraph is used for categorical data and a histogram is used for numerical data. Within a histogram each bar represents a subset of data whereas a bar on a bar graph has a single value for one category. Histograms are more effective when used in upper elementary. 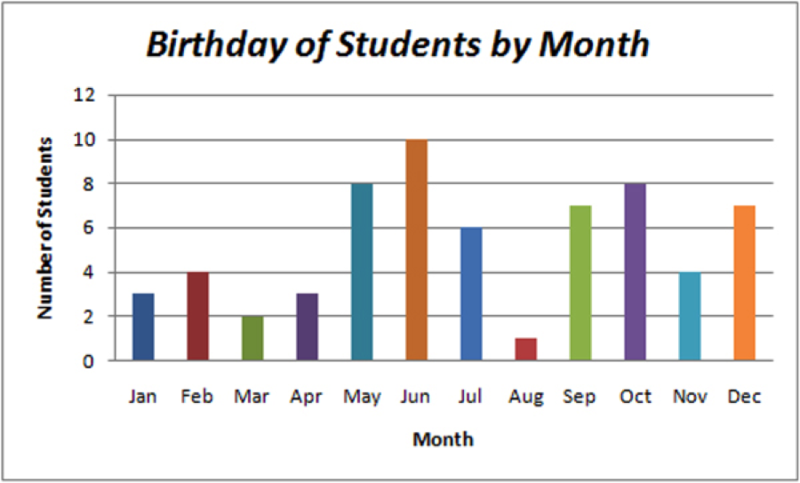 How might you use a histogram for classroom data? This line graph represents the amount a bean has grown within five days. This graph allows viewers to read the data as an increasing amount. The line graph shows a change from one value to another. This was an appropriate representation of the data because the lines between the days show a change in centimeters of how much the bean plant has grown. 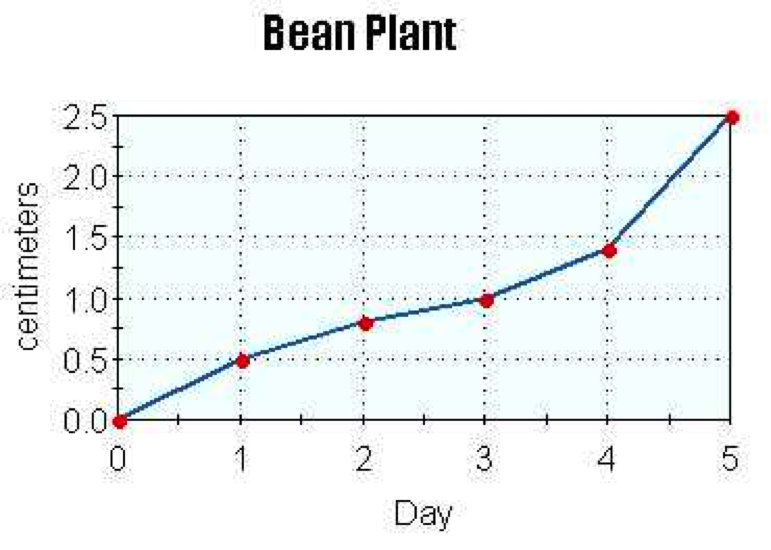 It is appropriate to use a line graphs to show continuous change such as the growth of a bean plant. To my understanding, the teacher in the video asked the students about each grade level’s range to get them thinking about real life data. I think this because the students were coming up with answers as to why one range might look one way and another might be different. 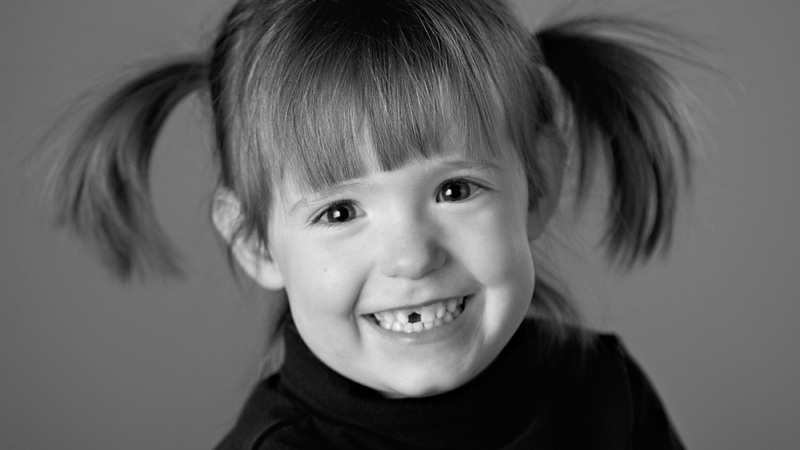 For instance, in the first section of the video the students were discussing that once kindergartener had lost 6 teeth just like someone in their grade. This student was appalled by the data because they had a whole extra year to loose teeth. This question allowed for students to think about the most and least amount of teeth lost, as well as see the “clumps” in their data. As the children were talking and discussing the ranges, it was clear that they were taking the data into extreme consideration. When they had began talking about the third grade section, they had wondered why someone might not be able to tell how many teeth they had lost. In my opinion, I thought the students might be thinking about ways their data may have been skewed. The students also realized that grade level was closely related to their ranges because students had more chances of losing teeth as they advanced in grade level. I would say overall that the students were noticing the important pieces of data. However, the students seemed to be having a hard time explaining there data. Students were noticing the least and most amount of teeth for each grade level. The students also mentioned “clumps” of data which would lead them to a closer idea of how mode would works. What element/feature would you consider the “clumps” to be? Posted on February 8, 2015 February 9, 2015 by moore4her	Bookmark the permalink. Great job on your post! It was interesting to see your point of view and thoughts on this module! We seem to have similar views! In the classroom, I would use histograms when dealing with data that has a wide range of numerical information. I think it would be hard for students to use histograms because they are not able to involve categories in their data. In the video section, I thought that “clumps” meant the mode to students. I think that they were trying to find the middle of the graph by taking a large clump. It was hard figuring out what the students were determining and thinking about the data. I am anxious to see what our peers think about the video and what information they found. Thanks for your insights, I am glad to see that we have similar views on the teeth video. I had a very hard time understanding what the students were saying during some sections. I am also anxious to see what our classmates discovered as well!